In what can only be described as a perfect storm, Epic Games has found a sort of secret sauce with its hit game Fortnite. Specifically, the Battle Royale portion of the game has caught on at a fevered pitch. 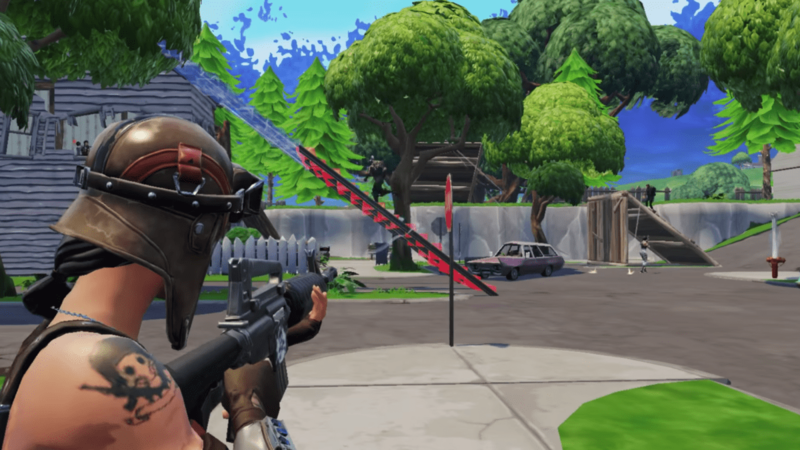 If you’ve never heard of Fortnite (or its rival, PUBG), let’s take a brief look at what it is and why this shockingly popular game could have a massive effect on Chromebooks. There are gaming sites completely devoted to answering questions like this about games, so I’ll leave the detailed stuff to them. You can read a couple great articles here and here about the gritty details. As a quick primer, there are two parts to the Fortnite experience. The first part is a single-player campaign that is a mix of building (think Minecraft), action (think any third-person shooter) and tower strategy (think tower defence games). I’ve not even experienced the campaign beyond some YouTube videos and a few articles about it. It looks fun and builds out a post-apocalyptic storyline that sets the tone for the multiplayer PVP elements you experience in the other part of Fortnite. That other part is the Battle Royale, and that is the part that really matters. On one hand, it matters because it is crazy-fun. On the other, it matters because the PVP setup is what is drawing players by droves to Epic’s viral hit. In Battle Royale, players are dropped onto an island with up to 100 other players with nothing but a garden hoe/axe-type thing. You scavange for weapons, explosives, traps, and building materials. The same building ability you have in the single-player game is here (to an extent) and you can build/destroy most things on the map if you can find a reason to do so. It is a one-winner-takes-all setup that gives players reasons to run, fight, build, break and hide depending on the scenario. It is unlike any shooter you’ve ever played, unless you’ve played a Battle Royale style game. For Fortnite, the building bit sets it apart from other games and the cartoony style makes the whole thing a bit less terrifying overall. Its tone is unique. That much is certain. For all you PUBG fans reading this (for those who don’t know, that stands for PlayerUnknown’s Battleground), it needs to be said that Fortnite’s Battle Royale is basically a clone of PUBG with a few differences thrown in for good measure. As I’ve seen it written elsewhere, “PUBG is the Snapchat to Fortnite’s Instagram.” I’d give credit, but I can’t remember where I saw that. (I’ve been reading a lot on these games lately) PUBG came first and initiated the Battle Royale game mechanism. It seems Fortnite has broader appeal, however, and it is hard to determine if that is because of the gameplay, the overall tone, or the fact that PUBG is an XBOX exclusive. Either way, Fortnite has exploded and adding the mobile element right in the middle of this already insanely-popular game craze looks to be stoking the fires even more. As I said above: perfect storm. I’m not here to go much more into depth about these games other than to provide a bit of context for those who’ve never heard of them, so I’ll stop there. What I am here to do is talk about the ramifications of Fortnite for Chromebooks. So let’s do that. The first and most important development that has happened with Fortnite is the introduction of the game on mobile devices. Currently, iOS is in the testing phase with Android slated in the next couple months. I got my invite last week for the iPad we keep around the house and I’ve been playing. A lot. Sure, the graphics are turned down a bit and it all probably looks much better on a phone, but the fun of this game is undeniable. What’s more important is the fact that Epic decided to keep all the console/desktop functions intact. Even better? You actually play against those same players for better or worse. We could go on about whether it is fair or not to play against players with controllers, keyboards and/or mice. That’s for another time and probably another website. What is compelling is that you have a big game studio with a massively popular game on their hands and they are taking the time to get the mobile experience right. You won’t get the single-player story mode, but that’s of little consequence for most players. We want Battle Royale and we want it anytime, anywhere. If you have a PS4 or PC, you can play with the same account on your mobile device, use the same goods you’ve built up or purchased, and play with the same squad you always do. To be honest, the whole thing is brilliant and maddeningly exciting! Well, some of you are ahead of me already, but if we connect the dots here, it is easy to see the path that gets us to Fortnite on Chromebooks. Again, not a gimped, mobile-only version. You could be firing up the most popular PVP game in the world right now on a Chromebook to take on your PS4 or PC friends. There’s no reason whatsoever that the Android version of Fortnite won’t run swimmingly on Chromebooks once it becomes available. The only thing missing currently is support for controllers, keyboards, and mice. Epic has already confirmed controller support would be available on the iOS version shortly, so I’d imagine at least that will be the case for Android. However, if they see the possibilities and enable the keyboard/mouse support for Android and Chromebooks, this could be really big. The tools are there and Epic simply has to decide to take advantage of them. But, imagine this for a second: in the span of a couple months, we could be playing Fortnite with PC, PS4 and iOS players on our Chromebooks, using our keyboards and mice inputs to play with the full precision normally reserved for PC players. All of a sudden, gaming on a Chromebook doesn’t seem like such a joke, does it? All of the sudden, if this all goes the way it looks to be going, other big game publishers might finally start taking mobile gaming – and Chromebook gaming by extension – seriously. And friends, when that starts happening, Chromebook gaming goes from being a ‘meh’ sort of experience to being a legitimately fun and engaging one. Between Android, powerful processors (when compared to their mobile counterparts), larger screens, and the full scope of possible input methods, Chromebooks could start being looked at as legitimate targets for mobile games. With PUBG working on a mobile port as well, it looks like the shift to mobile gaming is starting to really take some serious root. We could be at the beginning of a very important, very real shift in how big gaming studios look at gaming and gamers. And for Chromebooks, that is a big, big win.